Over the past few years we have shifted the way we talk about periods. Now it's time to change the way we teach them. That’s why we created The Period Game. It’s pretty much impossible to play the game without saying words like “period” and “tampon,” making it a lot easier to talk about both in real life, and empowering the next generation to stop hiding tampons in their sleeves. 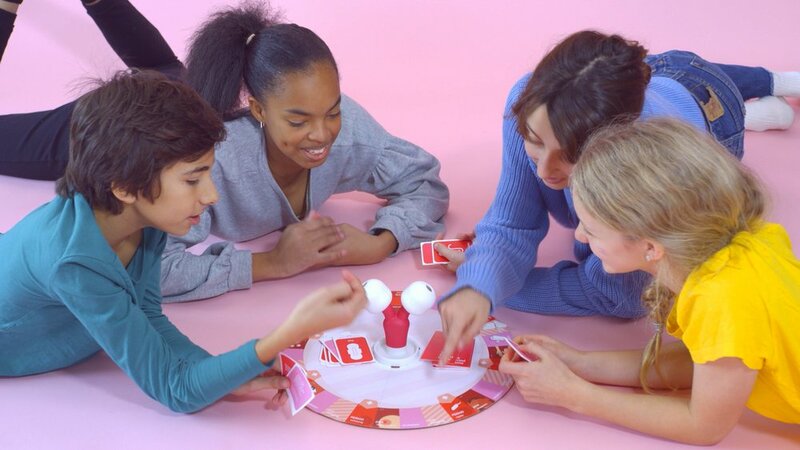 The Period Game is a board game designed to teach menstruation in a fun, engaging way. Games are for 2-5 players and take approx 20-30 minutes to play. Games will ship in February 2020! The past few years have seen a shift in how we talk about menstruation— it's amazing, but we believe the best way to bust the taboo is to change the way we teach it. If everyone was required to learn about menstruation and was able to do so in a fun, safe environment, we could raise a whole new generation that doesn't feel the need to hide tampons in their sleeves. We've seen boys and girls scream "I just want my period" at the top of their lungs, heard every question about menstrual cups, and even taught some forty year old married men a thing or two. We know that this game can help shape the way the next generation talks about menstruation, and feel that it's our responsibility to improve that conversation. Sign up with your email address and be the first to find out when the game is available! The Period Game is an ongoing project by designers Daniela Gilsanz and Ryan Murphy. The game won the Red Dot Design award (fitting, we know) in 2016, and is accepting preorders on Kickstarter starting February 5th! Please contact us using the form below for all press and licensing inquiries. For availability updates please subscribe to our newsletter.